Congress is likely to pass another stopgap spending bill to keep agencies open through the remainder of 2017, according to House Republican leadership. 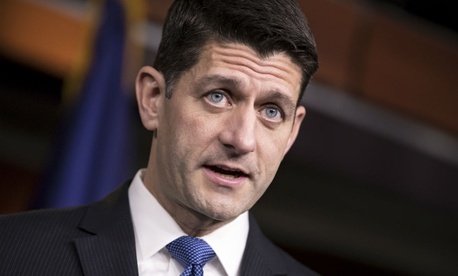 Lawmakers are considering extending the continuing resolution past its current expiration date of Dec. 8, House Speaker Paul Ryan, R-Wis., said on Tuesday. The move will likely prove necessary to give congressional appropriators more time to finish drafting their bills and conducting bicameral negotiations. The House has already passed an omnibus spending bill spelling out line-by-line spending for agencies across government. The Senate Appropriations Committee has yet to take action on all 12 of the required annual funding bills. Lawmakers still face major hurdles in negotiating a full-year spending measure. President Trump recently repeated his demand for Congress to fund initial payments for his proposed wall along the U.S.-Mexico border, which Democrats have vowed to vote against. Republicans have pushed for increased defense spending while cutting appropriations for non-defense agencies, which would require a vote to change the current 2011 Budget Control Act caps. Democrats have said any budget deal to bump spending levels must affect defense and non-defense agencies equally. Other policy matters, such as the status of some undocumented immigrants and cost-sharing reduction payments to health insurance providers, could also complicate efforts to pass spending bills. Should lawmakers decide to extend the stopgap spending measure into 2018 despite Ryan's comments to the contrary, this could lead to complications. A September Congressional Budget Office report found that continuing the same spending levels for the full fiscal year would likely force the Office of Management and Budget to revoke some of the funds that Congress had appropriated. About $2.4 billion would be sequestered from defense accounts, while about $2.3 billion would be sequestered from non-defense accounts, CBO estimated. OMB would make the final determination on the amounts of any sequestration. OMB and the White House did not immediately respond to inquiries into whether Trump would sign such a measure.